Congestion in the station is clearly a concern for Network Rail – as many of our readers are only too aware, the tunnel is often packed at peak hour. Widening the tunnel is not considered a viable option, partly due to the rather complex nature of the foundations of the station (not helped by the foundation of the train tracks being only just above the tunnel), but also because a major construction project like this project and would need the tunnel (and possibly the tracks) to be closed without any alternative route for a significant amount of time. However, Network Rail is well aware that the tunnel is a popular option as this is the shortest way to reach the platforms. They also recognise the importance of the current entrance on St John’s Hill. Therefore they consider that any redevelopment should provide a broadly similar facility, minimising the time to access the platforms. 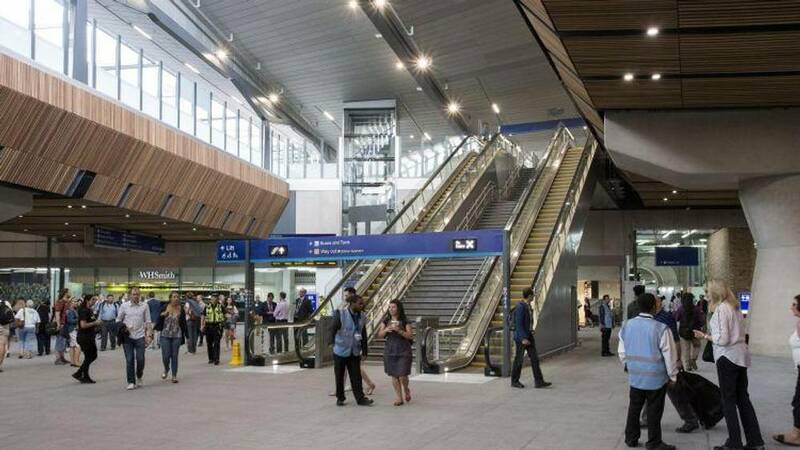 Based on the recent development at London Bridge (pictured above), escalators to the footbridge from a redeveloped concourse seem a reasonably likely approach. Decking over the tracks is a popular option for major stations facing congestion issues. Speaking at a conference in London on UK station development last year, Network Rail stations director Norrie Courts said that, although the plan was in its infancy, a deck built over part of Waterloo station could in the long term provide both development opportunities and congestion relief (by allowing multiple entry points to platforms, and opening up pedestrian routes all the way from the Thames to Lower March). Something similar could be achieved at Clapham Junction Station. Jill Stone noted the example of London Bridge (minus the Shard of course! 😉 ) as an option of what could be envisaged, with a mixture of commercial and residential units. A major driver of this work is to address congestion within the station – but this project is also designed to improve the flow of trains through Clapham Junction itself, where the current track layout is a bit of a bottleneck for trains from much of the south east of England, and which has several platforms that are both sharply curved, narrow and not as well laid out as Network Rail would really want for such a busy station. Clearly, such a major project would be expensive. Network Rail will have to investigate how it could be funded, including the potential for private investment from property developers as has been the case at other major stations. CJAG stressed the importance of making sure that redevelopment plans take account of their immediate surroundings. 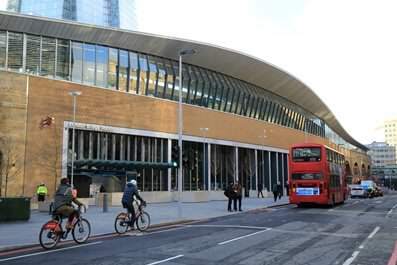 As we saw during the Delancey plan (which some readers will remember involved building twin towers of 42 storeys on the site of the ShopStop centre) the view of what can be ‘acceptable’ does vary from one side of the station to the other. Residents on the St John’s Hill side, which is relatively low rise and mostly Victorian, are particularly sensitive to what could be considered unneighbourly and substantial overdevelopment of the site. However the current redevelopment plans on the Grant Road side – involving significantly higher buildings that mostly match the 20-storey height of the existing towers on Winstanley estate, in a modern style – provides a precedent for some relatively big construction, and leaves the option for some quite innovative schemes. We took the opportunity to present some of the results of the consultation that we carried out in 2011, where we collected ideas and opinions, asking for residents and local stakeholders to participate and express their views, concerns and opinions on the future of our station. All comments have been published on the website (here) and area also available at the bottom of this post. 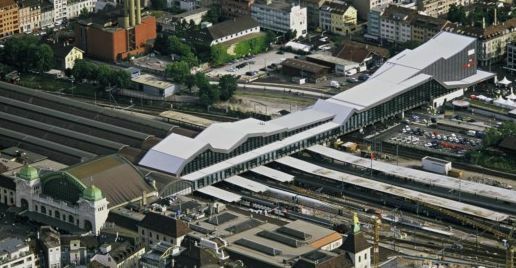 We also presented the interesting example of Basel station in Switzerland, with similar characteristics, operating as a bridge between a preserved side with historical buildings (the Clapham Grand, Arding&Hobbs, The Falcon, Brighton Yard and the former parcel building, the TA entrance, …) and a more modern and tall one (Grant road, Winstanley). Network Rail is continuing to work on the options – the key question probably being ‘what can be made financially viable and feasible to deliver’ – which would then be discussed (no doubt at some length) with the Department for Transport. Funding for this type of project used to be allocated in cycles called ‘Control Periods’ – however enhancements like those being considered here are no longer part of that big process, meaning timetables are quite open (see Bowe’s report). Although not part of the Crossrail 2 team (it’s a separate project proceeding to its own timescales), Jill Stone noted that the CrossRail 2 decision is still in the hands of the government the moment. More than 1 year ago, CJAG met with representatives of Crossrail2 (Tuesday 19 September 2017) to discuss about the progress of their plans, and exchange views of the impact on Clapham Junction station. During that meeting they informed us that Crossrail 2 will focus on the new entrance (the design work has been achieved) located in Grant Road (with an access to the crossrail platform also from St Johns Hill/Plough Road). Although they work independently from NR they will of course coordinate with NR, especially in the case of a more ambitious project of station redevelopment led by NR. This entry was posted in Crossrail 2, The station by Cyril Richert. Bookmark the permalink.